One person has died and over 100 houses were destroyed when rainstorm swept through 15 villages in Illela Local Government Area of Sokoto State, Alhaji Abdullahi Haruna, the Council Chairman told newsmen. Haruna said seven other persons, including a mother and her three children, sustained various degrees of injuries during the rainstorm. According to him, the local government council secretariat, schools, and other public places are among the buildings destroyed by the storm. He added that “the strong wind and heavy rain started around 5 p.m. on Friday and lasted for 30 minutes, but the damage it caused was enormous. He said the council had contacted the State Emergency Management Agency and the National Emergency Management Agency for assistance to the victims. “On our part, we are waiting for the report of the committee before deciding on what to do for the victims,’’ Abdullahi said. 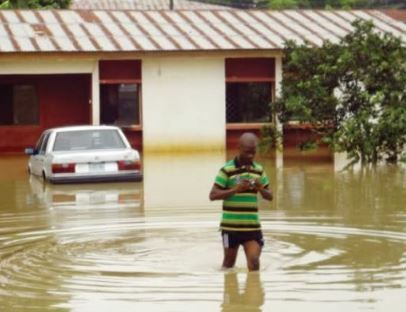 The Head of Sokoto Zonal Operations of NEMA, Mr Suleiman Muhammad, told the News Agency of Nigeria (NAN) that the agency had been notified about the disaster.